An Ultimate Guide to Google’s Algorithm – Timeline! As an online marketer, you should be aware of the major Google algorithm updates, as they can cause sudden drops and jumps in organic traffic. This post will highlight some of the important Google’s algorithms and the impact they had on search marketing. 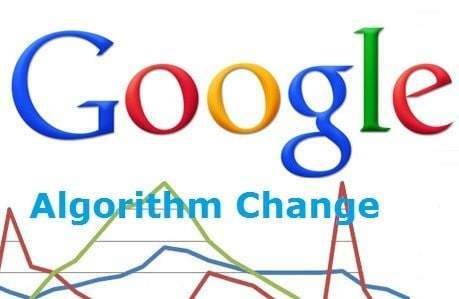 In this algorithmic update, Google confirmed that they were considering social signals as a ranking factor, essentially Google wanted to check whether the websites are socially engaged and are sharing informative content with the audiences. This update is revealed to attack pure spam low quality sites with thin content, unnecessary popups, and exploiting ad senses etc. This was a major update which made a great impact on millions of sites and lasted for a couple of months. This update affected the exact match domains and also this was a fairly major Panda update affecting 0.6% of search enquires; however, this was just a warm-up until the big EMD later in the day. This was really an unexpected algorithms and it affected millions of websites as they lost significant amount of traffic. The SEO experts in Sydney said that this update targets on the site keywords and that the fluctuations are affected pages and/or rankings related to keywords that are irrelevant for their traffic. This update experience better improvements in semantic search and knowledge graphs. After this update, users can enter questions into a Google search box and get answers back. All these algorithmic updates were rolled on to provide the user experience for Google search users. To stay away from the upcoming algorithmic updates, you need to ensure that your website compliance with all Google guidelines. Contact the team of Top SEO Sydney, the leading SEO Company Sydney and find out how they can help your website dominate the SERPs.